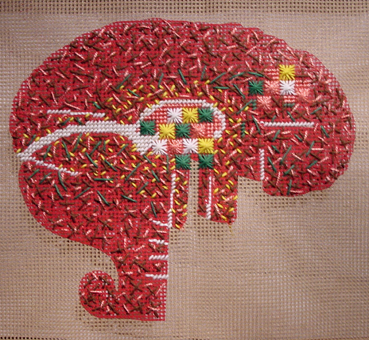 29 November – 10 December there will be an exhibition of stitched brains in gallery WG Kunst in the center of Amsterdam. STITCH_YOUR_BRAIN is a project and study by Monika Auch, visual artist and medical doctor about the intelligent power of our hands. Participation is open to everybody. The project started September 2013 and is still running. It is financed by Monika with support for PR by Bloomsbury Publishers and grants from Dutch Foundation Stokroos for research on anatomy and image making. Mail info@monikaauch.nl with the submission form here: Submission Form 2018 Brain show if you have already stitched your brain – or order a kit to take part in the show. Deadline for submissions is Thursday, 15th November 2018.